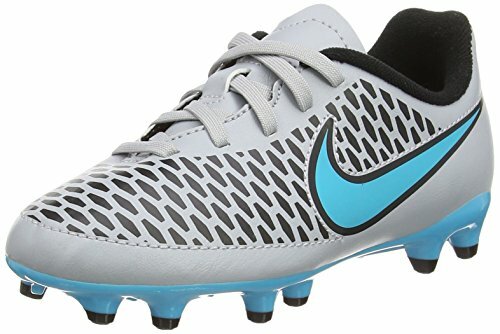 NIKE Youth Magista Onda Firm Ground [Wolf Grey/Black/Turquoise Blue] (3.5Y) by NIKE at Blood of The Young. SKU: 651653_040-3.5Y. MPN: 651653-040_Grey/Blue. Hurry! Limited time offer. Offer valid only while supplies last. UNSTOPPABLE PLAYMAKING||The Nike Jr. Magista Onda (3.5y-7y) Kids' Firm-Ground Soccer Cleat for comfort and precision striking, passing and dribbling.